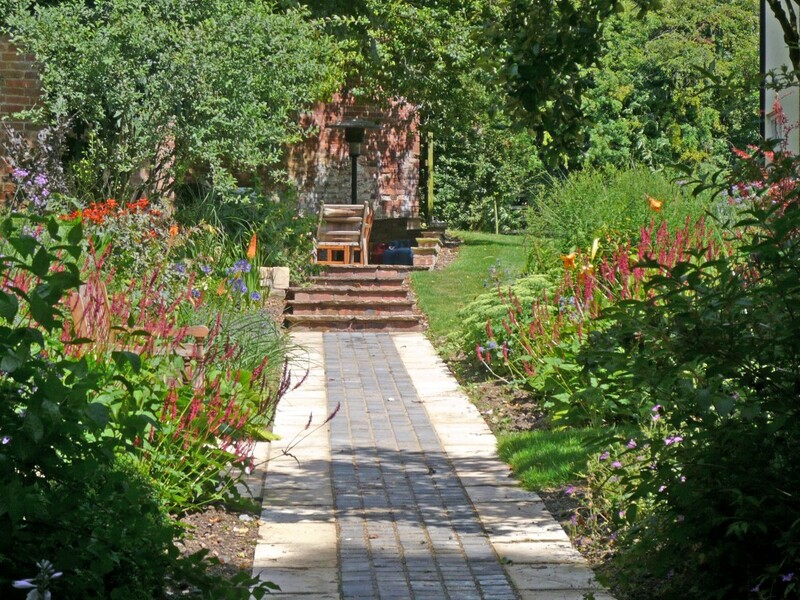 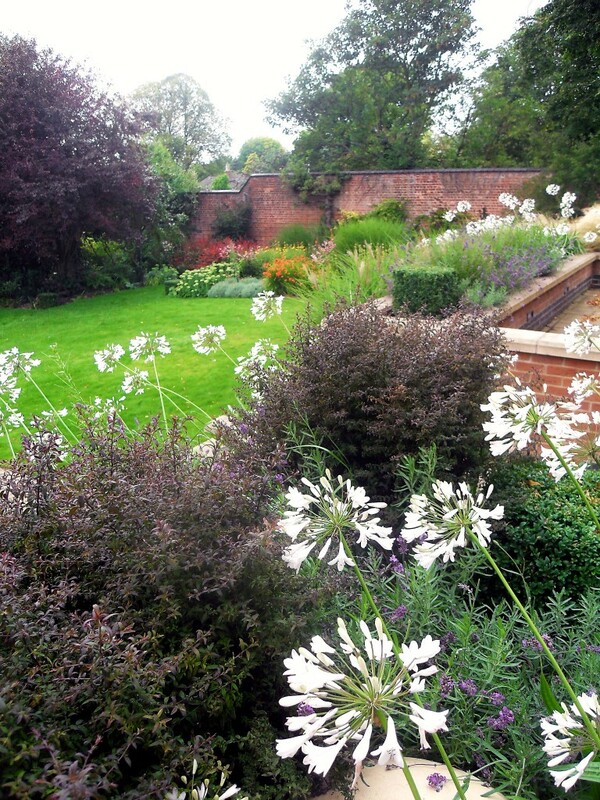 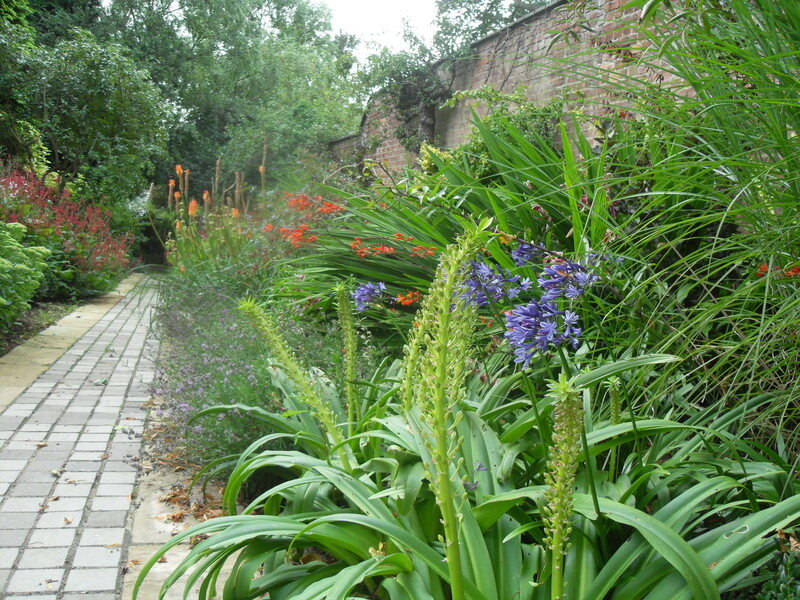 A Contemporary Family Home Garden - Hill-fort Ltd.
Rutland village garden. 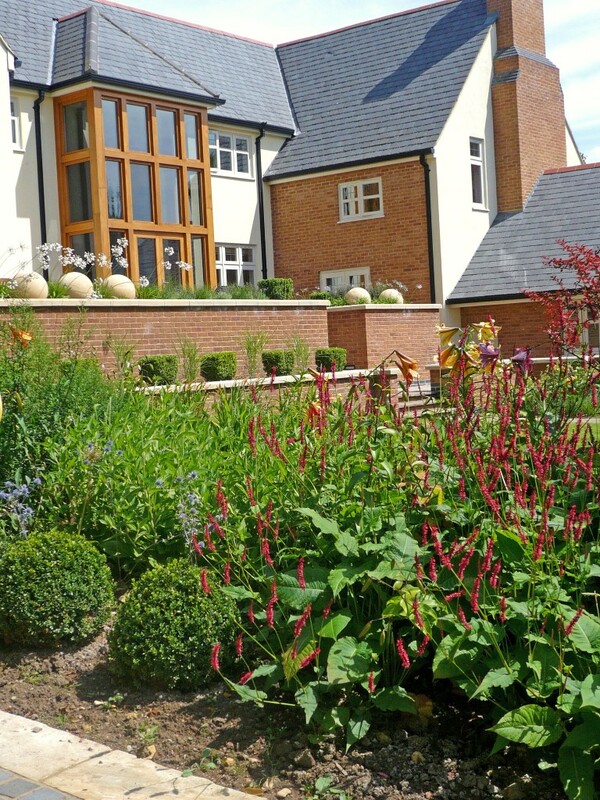 A newly built contemporary house, with a sloping garden to the south. 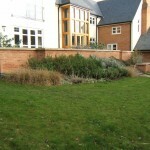 Existing boundary planting of huge conifers and tired mixed borders. 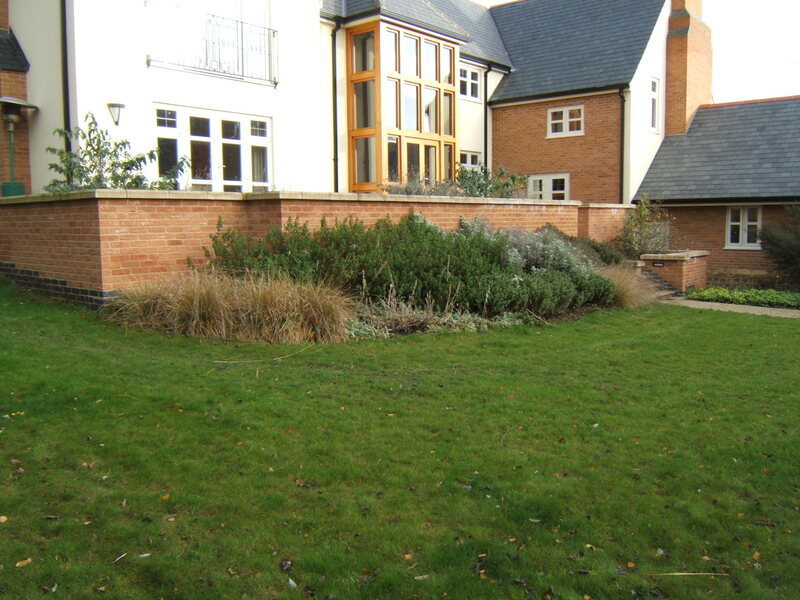 The large house sports a large terrace with a tall brick retaining wall and a wide sloping lawn. 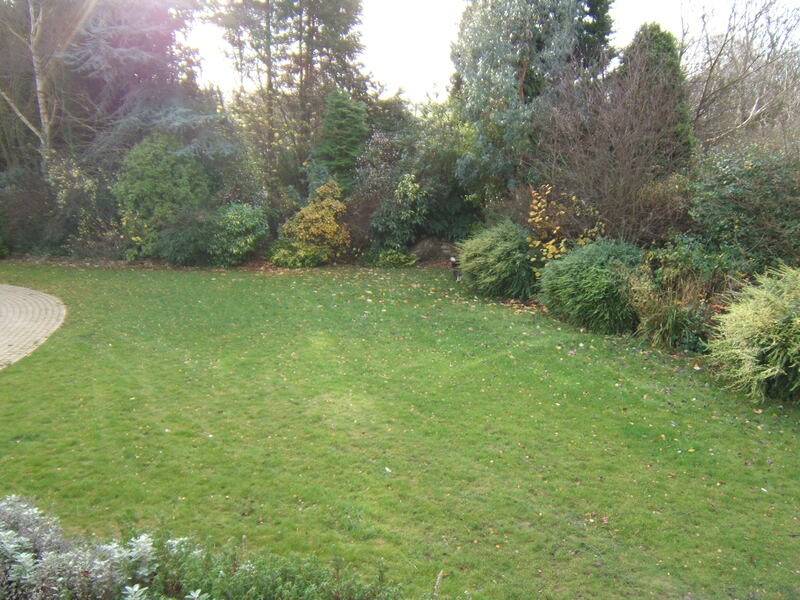 From the house, the eye was drawn to the many large dark conifers. 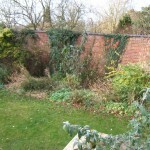 The effect was a house trying to peer over the boundary growth, with limited interest within the garden. 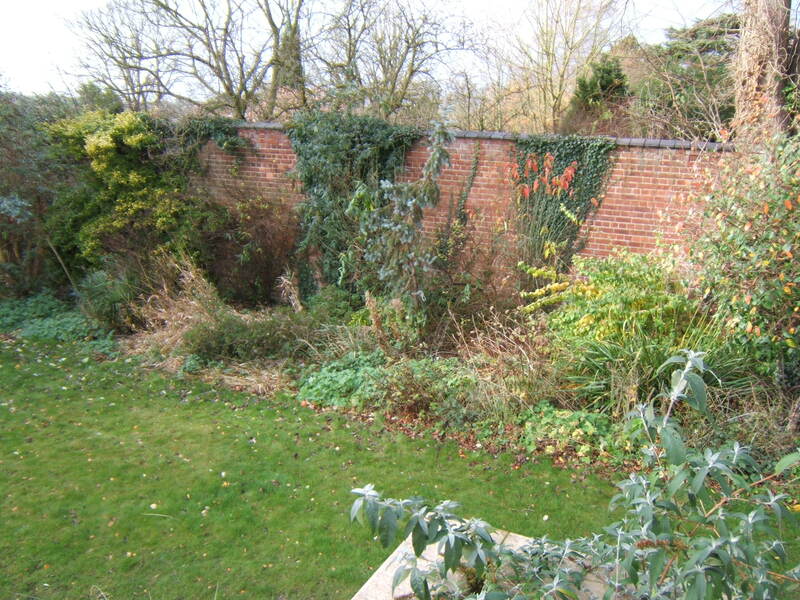 It did however sport some nice mature trees and a wonderful high mellow brick boundary wall. 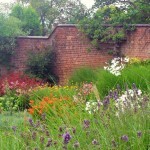 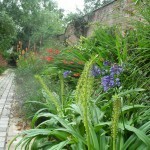 Design a colourful garden, with a long season of interest. 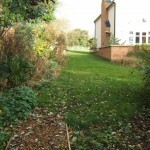 Views from both from the house and terrace, and from the main entrance path should be taken into account. 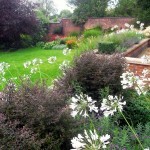 The garden should remain mostly lawn and simple to tend by its knowledgeable horticultural owner. 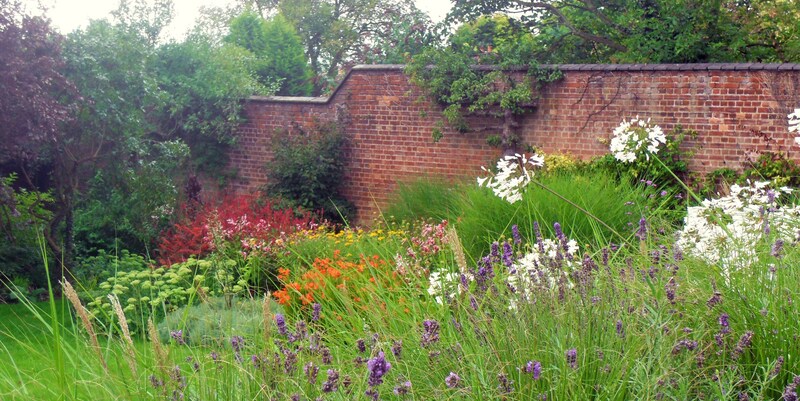 The mixed border against the high wall was increased in depth so as to allow more space for a succession of planting throughout the season. 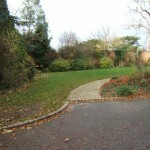 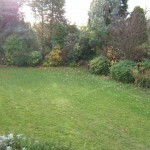 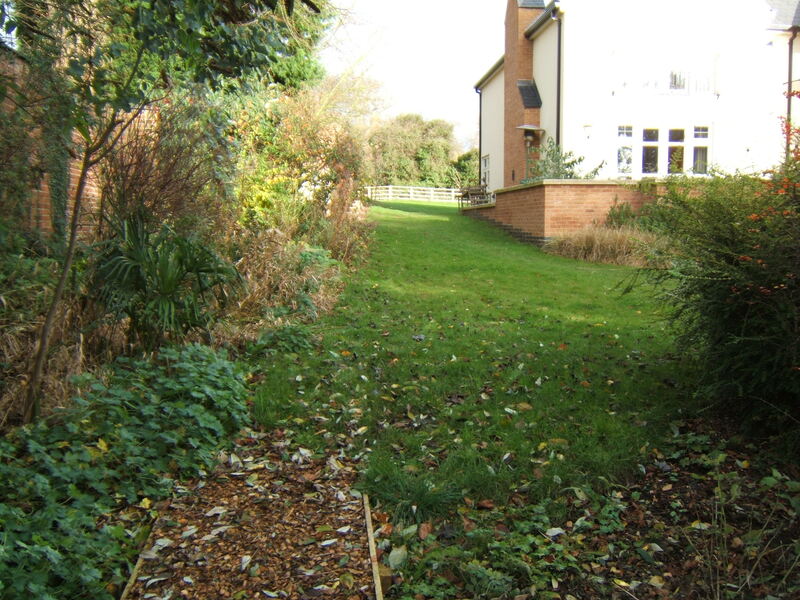 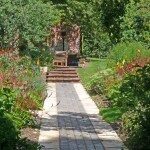 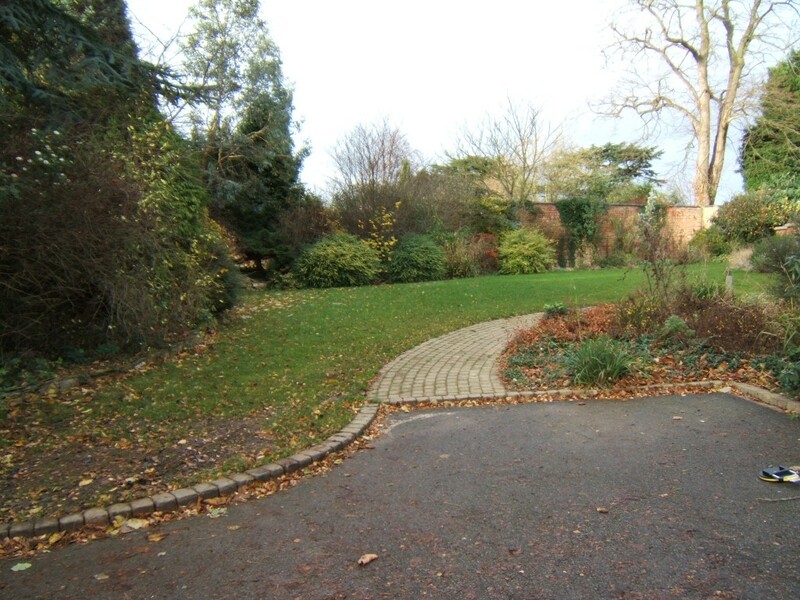 To avoid creating one massive border, a non slip path was added, unseen from the house and the entrance, but visible – creating a new axis – from the rear lawn. 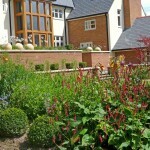 Block planting of prairie style planting give the garden an element of change throughout the seasons. 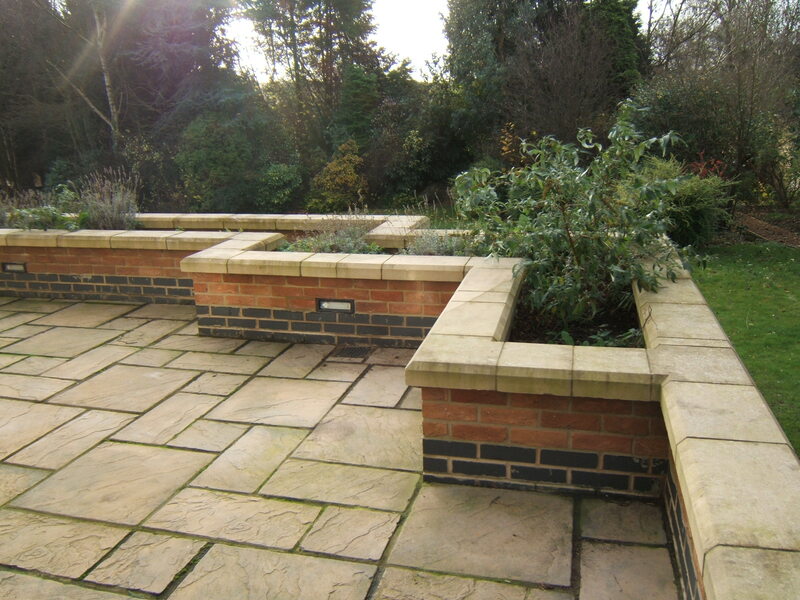 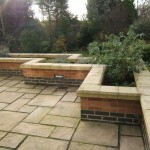 A raised bed is built against the retaining terrace wall and planted with sculptural box cubes, climbing roses and grasses to link planting to the strong proportions of the house . 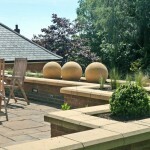 Large stone balls are added to the raised terrace planters to give permanent structure and link to the same sized box balls within the lower planting.